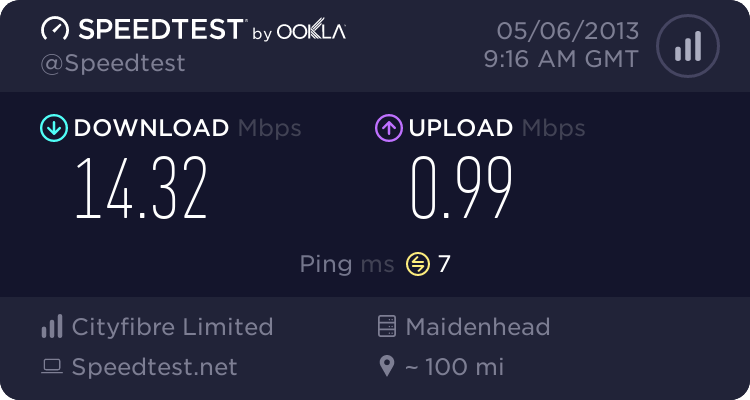 It is now some 3 months after the Post Office Broadband changes. Technical support still does not answer the phone. I have had one line with a fault and only got it cleared after 6 weeks when my complaint was on Radio 4's You and Yours. I now have a broadband fault with long service breaks and a maximum download speed of 100 kb/s when it does work. Post Office Broadband were going to "call me back"- that was 2 months ago. Ringing technical support just gets me half an hour of Vivaldi's Four Seasons and no reply. Complained to Post Office's Ombudsman's service- acknowledgement received, but no action. Are others having similar problems- is it worth ThinkBroadband doing a news article? Been there, done that and got the Tee-Shirt. Never again! There was plenty of warning here. Which ombudsman was this? CISAS? **Edited to make clearer who response is to in light of error"
A look at my sig will show that I did. Unless you are under the impression you are responding to the OP.